Revolutions happen for a reason. The L7™ square subwoofer is chocked full of innovation, delivering extraordinary volume and detail in a tiny enclosure, barely 9” long. 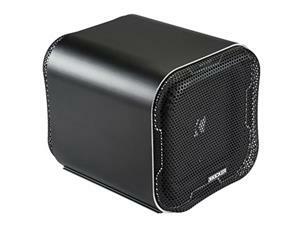 The legendary L7 subwoofer finds a new home in this monster mini-enclosure. Built to take gobs of power and keep on slammin’, throw some serious amp behind it for huge bass.You may now consider wood boxes “old school.” Made of ¼” thick solid aluminum, the only thing that vibrates is your eardrums – and maybe your mirrors.A custom made Reflex Subwoofer adds deeper, smoother bass without needing a larger boxSlim, sleek and nearly invisible, this bracket makes short work of securely adding the L7QB8 to your ride..Our L7 sub box technology gives you more power handling. An impressive 500-watts of recommended power gives you the bump you crave without taking up extra space.